Murad Renewing Eye Cream Review: Does It Really Deliver Results? Murad Renewing Eye Cream delivers three-in-one results that reduce the visibility of fine lines like crow’s feet, brighten dark circles, and reduce puffiness around the eyes for a smooth, lifted, youthful look. Murad was founded by Dr. Howard Murad and has delivered skincare products for over 25 years that seek to unlock youth using cellular level hydration. Murad Renewing Eye Cream is sold for $80 on the manufacturer’s site. 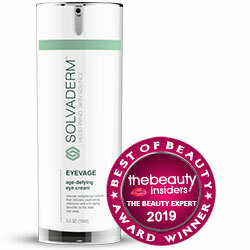 It can also be found through major retailers like Ulta Beauty and Sephora. Murad provides a 60-day money-back guarantee on any product sold through their site or resurgence.com. Pat onto the brow bone and beneath the eye after cleansing and toning and gently rub it in. 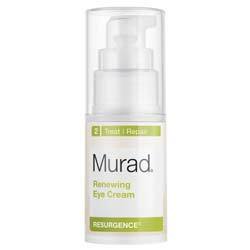 Murad Renewing Eye Cream uses a mixture of collagen-boosting peptides, plumping moisturizers, brightening vitamins, and natural plant extracts to reduce wrinkles and brighten up the eyes. The most unique ingredient is the Wild Yam Extract that actually restores optimal estrogen balance in order to restore skin luminosity and strength.However, the said ingredient can also cause diarrhea, headache, vomiting and nausea. 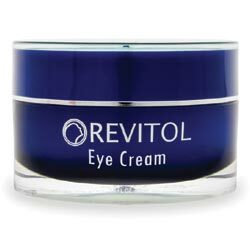 Since there are no documentation to support the product’s claims and a possible side effects, we recommend purchasing different eye cream with established reputation in the market.